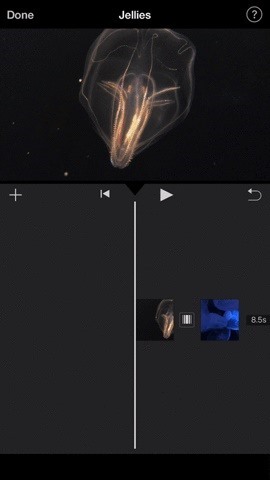 By default, iMovie for iPhone adds a dissolve (also called a crossfade) in between all of the video clips in your movie project's timeline, which is an effect that transitions gradually from the end of one clip to the beginning of another. 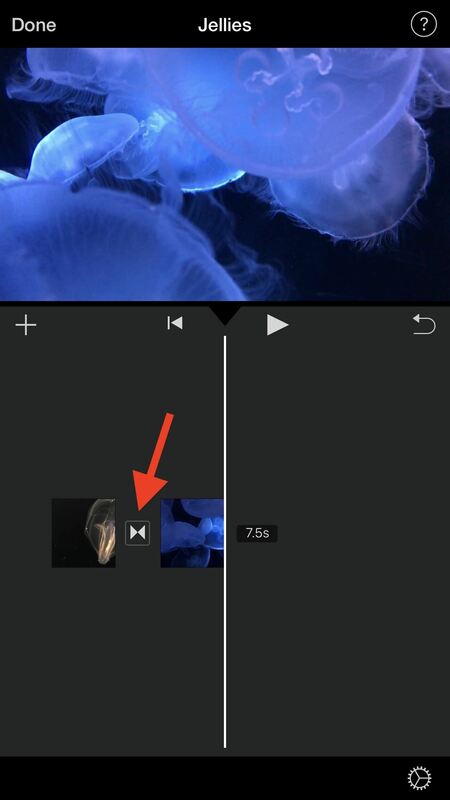 However, iMovie does not add any beginning transitions to your first video clip or ending transitions to your last video clip. But that doesn't mean you can't. While films can definitely start or end abruptly with no transition, many fade in from black to the first image in the video and/or fade to black on the last image. 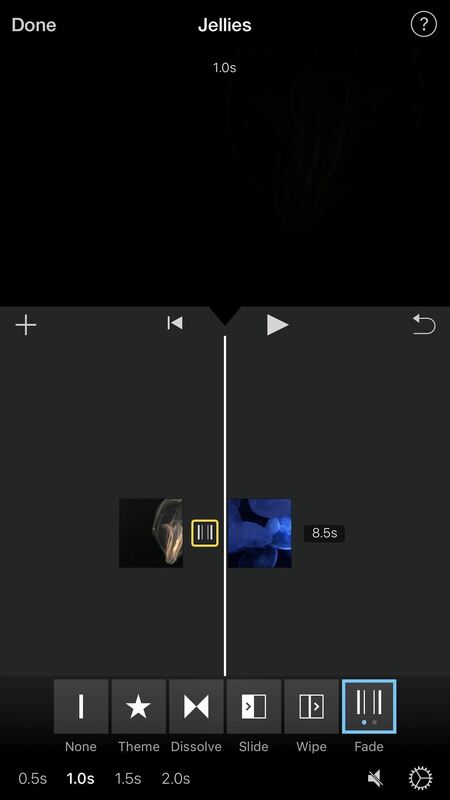 It's similar to a dissolve, but instead of transitioning between two different video clips, it's just a transition from one clip to a blank screen, usually black. iMovie makes it easy to add these beginning and ending transitions to your movie project. Also, unlike other video editors such as Adobe Premiere Clip, you can add fades in between video clips. These fades will fade the first clip out to black or white, then fade in from black or white to the next clip in the timeline. First, let's cover the easiest option ... adding a fade in from black or fade out to black for your entire movie project. 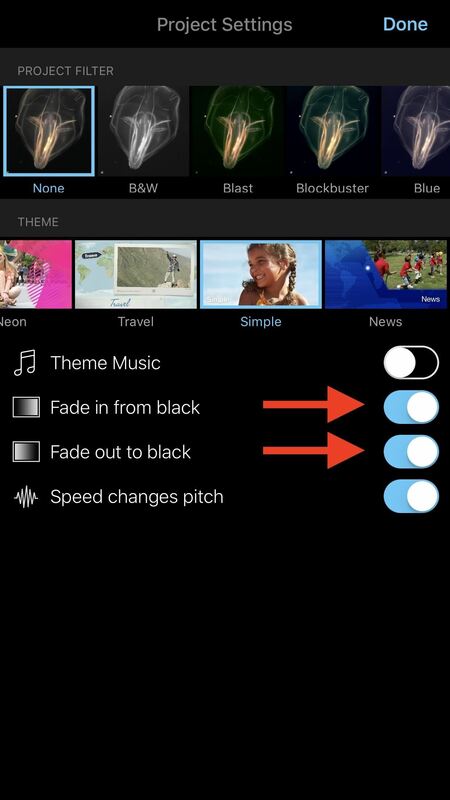 In your movie project, tap on the cog icon then toggle on either "Fade in from black," "Fade out to black," or both, then tap "Done." Below, you can see a couple examples of a short movie project without the fade-ins and fade-outs (left side) and with them applied (right side). While dissolves (crossfades) are good for indicating a short amount of time has passed in between clips, fades are good for when a greater amount of time has passed or for transitions in between acts. Really, either of these can be used for any reason you think is cool and looks good, so play around and see what works best. 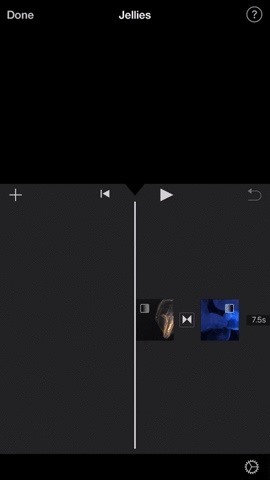 Since iMovie automatically adds a dissolve transition in between every video clip added to the timeline, all you have to do is tap on the transition you want to change, then select "Fade" from the list of effects. 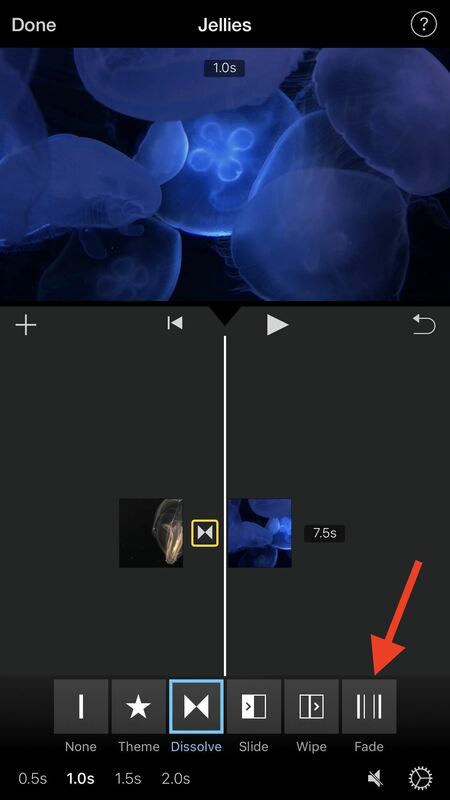 One tap on "Fade" (the first dot on the icon will be highlighted) will make the first clip fade to black and the next clip fade in from black, but two taps on the "Fade" button (the second dot highlighted) will make it white instead of black. While in this menu, you can change the duration of the transition to either 0.5, 1, 1.5, or 2 seconds. Half of it will be applied to the end of the first clip, and the other half will be applied to the beginning of the second clip. 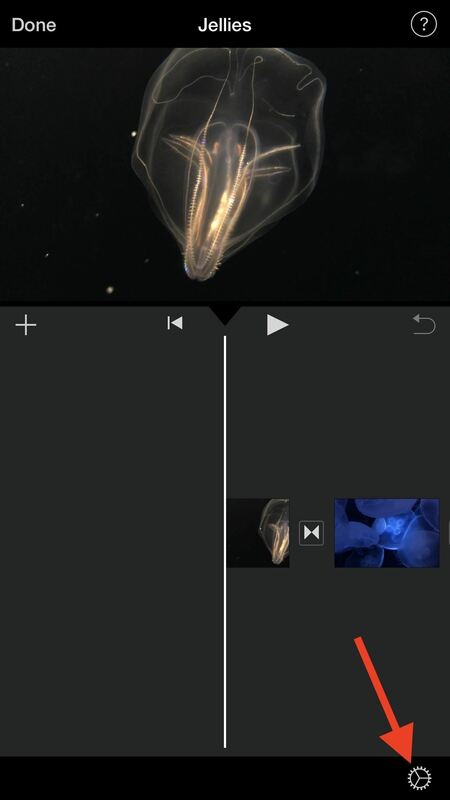 Below, you can see a black fade applied in between the two video clips (on the left side) and a white fade (right side). They have two very different outcomes. Now that you know the possibilities, you'll probably want to add more video clips to your movie project. For instructions on that, make sure to check out the guide linked below.